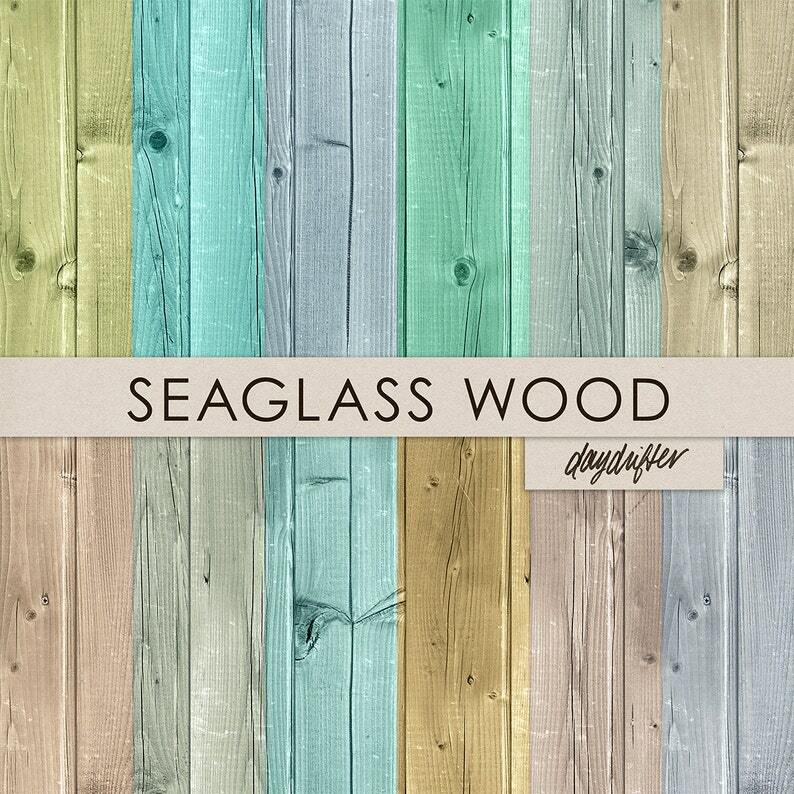 This paper set includes 12 "Seaglass" nautical wood plank textured digital papers in bright and pastel shades of blue, teal, mint, green, brown, and gold. They have a distressed wood texture with a shabby chic, beach house, boho vibe. Use them for your digital scrapbooking pages, photo backgrounds, or print them to use in your commercial projects. They would be perfect for summer vacation projects! Use these papers to create custom party decor for a boho chic beach party, boy or girl's birthday party, baby show, bridal shower, wedding, or other occasion. You can use the digital paper to make stickers, labels, elements in your digi or hybrid scrapbooking, card making, and more! This set includes 12 high-resolution (300ppi) 12"x12" papers in JPG format.